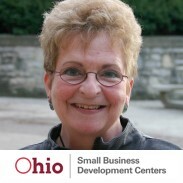 Please join Nancy Stoll, Certified Business Advisor with the Small Business Development Center for a FREE Business Advisory Session - by appointment only. Nancy is in the Chamber office on the 1st Wednesday of each month to answer your business questions. Call 614-875-9762 to schedule your FREE appointment. the 1st Wednesday of each month from 9-4 by appointment only.